The Short Version: myLovelyParent is a dating site with an original premise. Inspired by a son’s love for his mom, this site lets children be the one to sign up on behalf of their parents, creating the profile and recommending matches. Through the emotional support and technological backing of their own sons and daughters, members can feel welcome on a friendly and safe website made with their needs in mind. 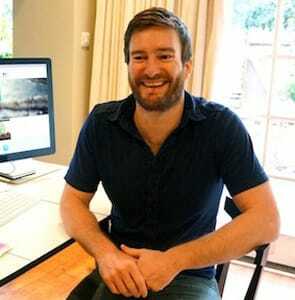 From his own home in the UK, Matt Connolly appears on Skype to chat with us about his website, myLovelyParent. Because of the time difference, it’s nighttime for him. He’s already had an evening run and is about to cook dinner. A cat sits curled up beside him. Her name is Kitty, he tells us. “It’s not terribly original,” he chuckles, idly scratching her back. Just looking at Matt, you can tell he’s the kind of guy a mom loves to brag about — to friends, neighbors, cashiers, and anyone else she comes in contact with. For good reason, too. On top of being studiously polite and uncommonly cheerful, he’s also an accomplished self-starter in the online dating industry. He’s very grounded in our conversation, modestly explaining how he created a whole website because he wanted to help his mom’s love life. Yeah, good luck one-upping that story on Mother’s Day. Motivated by a suggestion from his mom, Matt built a dating site that would ease an older generation into online dating. 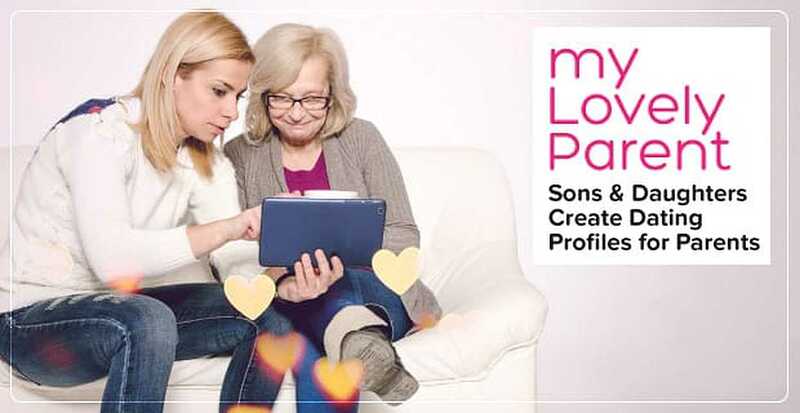 On myLovelyParent, children create their parent’s profile and thus encourage their moms and dads to find love online. Growing organically from zero, myLovelyParent now boasts over 10,000 members. The user base began in the UK, but is rapidly expanding throughout the US, Australia, Canada, Ireland, and South Africa. No matter how big it gets, though, its origins will always be a personal matter between two people. “It’s just a really sweet story about me and my mum,” he says about how the site began. Matt has worked in the digital industry since his early 20s. His experience and know-how soon had him wondering what new space he could create online. Matt Connolly began myLovelyParent to help his own mother find love online. A lightbulb went off. Listening to his mom, he realized how many barriers existed for her — and her age group — when it comes to online dating. Most websites are too complicated, too young, or simply too scary to be appropriate for her, and she didn’t know how to get started. Like any dutiful son would, Matt took it upon himself to help her. In his view, the role of children is to encourage parents to become part of online communities without fear or reservation. “We’re huge ambassadors and fans of online dating,” he says about the younger generation. Matt had the idea to let a son or daughter be the one to set up a parent’s dating profile. An invite would then be sent to the parent to join this child-approved dating avenue. As a facilitator and a vote of confidence, this could be just the push that a single parent needs to put themselves out there. Some popular sites already allowed making a profile for a single friend, but not for parents specifically. Matt decided he would be the one to take this cross-generational concept and make it a reality. From its outset, myLovelyParent was unique. By having the child be the initiator, it formed a bridge of trust between parent and website, ushering singles into safe online networking. Plus, as a byproduct of how the site works, myLovelyParent actually improves and enriches the child-parent relationship. “What I hadn’t realized is the value in the words that the children write,” Matt says, explaining how such complimentary sentiments too often go unspoken, even among close family. He witnessed the impact of this firsthand. After he created her profile, his mom wanted to open the invitation in person with him. So, on her next visit, she sat beside her son when she saw her myLovelyParent profile for the first time, reading through her son’s praise with a full heart. “Watching her read the copy that I had written, I saw tears run down her eyes. I genuinely hadn’t ever expressed that to my own mum, which is incredible,” he said. When a child creates a profile, they have the opportunity to say what makes their parent special. He saw the same phenomenon happening over and over. He recalls a touching note sent to him by a Canadian woman who’d recently joined myLovelyParent. She’d asked her nineteen-year-old son to sign her up, but didn’t expect him to be so willing to help or so glowing in his recommendation of his mother. Created with the particular needs of parents in mind, myLovelyParent caters to its audience. When building the site, Matt continually looked to his mom for her thoughts. He would ask how she felt about different aspects of the site and then figure out the best design based on her opinion. “In a broader sense, the whole site has been mum-tested,” he says. Her son took this idea and ran with it, creating a functionality where children can play matchmaker by browsing through profiles and selecting ones for their parent to see. Kids can make match suggestions but can’t communicate with anyone; that’s left up to the parent. While some users want independence, others need more hand-holding through digital escapades. For the latter, myLovelyParent has a feature where a child can be notified whenever the parent’s profile gets a message. The child can’t read the message, but can let a parent know what to do next (e.g., “Hey, mom, check your email”). Integral to the site is the fact that parents ultimately choose how to use it. The kid sets up the profile, maybe endorses a few possible matches, and then it’s up to the parent to go through the usual online dating experience. myLovelyParent’s no-pressure email invitation can be accepted or denied. Not all parents are tech savvy. Kids know this better than anyone. For that reason, myLovelyParent is designed to be easy-to-use for any digital comfort level. This website fosters a safe and welcoming environment for its tech-averse users. The team checks every profile to ensure that the site is populated by lovely people only. With their child’s assistance, single adults enthusiastically join a ready-made online dating community. Because signing up requires two people’s information (both child and parent), myLovelyParent can verify two email addresses, writing styles, IP addresses, and online activities. This dual sign-up allows the team to more easily and quickly spot fraudulent activity. The site’s administrators also receive reports about any spamming practices. Such users are flagged immediately to protect users. “We’ve built in lots of security features,” the founder tells us. Although predominantly UK-based right now, Matt knows that his user base has the potential to increase greatly over time. In coming years, he’s looking to grow membership — particularly in the United States, where he says there’s more of an appetite for this kind of website. myLovelyParent has helped connect single moms with single dads through the kindness of their kids. He also hopes to get more dads signed up because women currently outnumber men three to one. With his company’s growth in mind, Matt is prepared to make an active investment in this novel dating site, raising funds to make it even more effective, nuanced, and useful to single adults. From dutiful son to responsible businessman, Matt is driven by a desire to bring like-minded singles together in a safe space. Wherever that drive leads — he’s played around with the idea of myLovelyKid, for instance — he’s eager to evolve the myLovelyParent brand into the most helpful tool it can be. Sitting at the table with his family years back, the site’s founder didn’t know where his mom’s idle request would lead him. He only hoped to help her. Today, single parents who wouldn’t have met otherwise can make a genuine connection online thanks to the steadfast devotion of a good son.